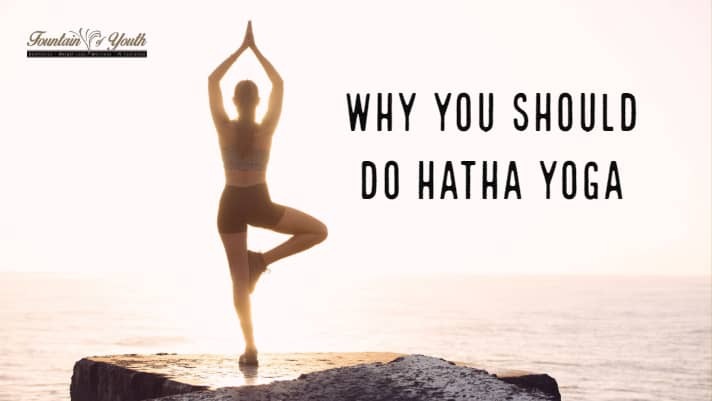 Have you been considering trying hatha yoga but are not quite sure if it is for you? We can reassure you, hatha yoga is for EVERY body! It offers several benefits that are gentle with your body and your mind. Not only will you feel better physically, the mental benefits it poses are just as great. If you are still unsure, keep reading below for additional reasons why you should add hatha yoga into your workout regimen. In the hatha yoga practice, there are several poses. Each pose has its own benefits. Unlike other yoga practices, hatha yoga requires every muscle in your body to release energy. This helps to create an accurate balance throughout your body’s muscles. Hatha yoga will enhance coordination and create resistance. In return, this causes your body and its limbs to become stronger and more balanced. By contracting and stretching the muscles in your body, it increases the drainage in your lymph nodes. This helps the lymphatic system fight infection, destroy potentially cancerous cells and get rid of toxic waste that is in your body’s system. By adding hatha yoga into your daily workout, it will help to increase your flexibility. Due to the poses of hatha yoga, it helps to correct posture, strengthen the spine and ease back pain. All of these then lead to an increase in flexibility. Hatha yoga helps to regulate internal systems in your body, which causes weight loss to become easier. When you combine hatha yoga with a healthy diet, it can result in a lean, toned body and healthy internal organs! If you are already on the thin side, you may not get thinner but you will feel healthier. By committing to a hatha yoga practice, it can help to regulate your metabolism and increase digestion or improve digestion. Hatha yoga poses many physical benefits as you can see above. However, many people prefer the mental benefits it has brought to them. Hatha yogis have found that the practice causes an inner bliss and peace in their mood. For more information regarding hatha yoga or other services at Fountain of Youth, contact our team today. We will answer any questions you may have and help get you started on your journey to a healthier lifestyle! Visit us at 6729 Spanish Fort Blvd. Ste BC in Spanish Fort, Alabama, call us at (251) 525-8446, or visit www.foywellness.com now!